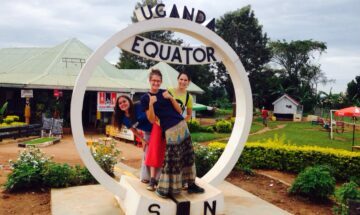 This exciting page will let you know all about the KISI activities in Uganda. Have fun browsing! Die KISI-Family wächst. Das ist schön. 1, 2, 3, 4 … we are your disciples, Lord! KISI was founded in Austria. How did it come all the way to Uganda? Find out in our brief history overview. Fr. Emmanuel Tusiime from Yesu Ahuriire Community met with the KISIs in the Netherlands. While they were singing and performing he looked in the faces of the audience and knew: We need this in Uganda, too. a team of 4 Ugandans was sent to KISI Austria for a three months training. Their experience gave a clear take off for KISI to continue in Uganda. an International KISI group of 35 came to Uganda to take part in the Great Gathering of the Catholic Charismatic Renewal Family to perform two musicals and several songs. In the year before 12 Ugandan kids had come to the Netherlands for a joint outrecht with European KISIs. there are several KISI CLUBs in different parts of Uganda and one in Kenya (led by the Ugandan team). KISI Uganda is also reaching out to the poor, sick and needy und seeks to provide spiritual nourishment for children. Once again, Lilli gets to experience another biblical story. This time it's Jesus' story about the 'prodigal son'. This is a musical about God's infinite mercy and fatherly love. Paul experienced so many things in his life: First he hated Christians, but then he had a radical encounter with Jesus and started telling everyone about God. He healed people, he was locked up in prison, he got shipwrecked and was saved – and Jesus was with him through all of it! What about friendship and trust? Mary and Martha must have been really disappointed in Jesus after their brother's death – but they still live to see that you can always trust Him. He's simply the best friend you can possibly have! You like what KISI is doing in Uganda and want to support it? We are very thankful and are looking forward to your financial support, prayers or volunteering. Thank you for supporting the work of KISI in Uganda. Help us paying for the necessities: for food and transportation for the kids during KISI activities. Finance technical equipment and other material for the KISI rehearsals and concerts. 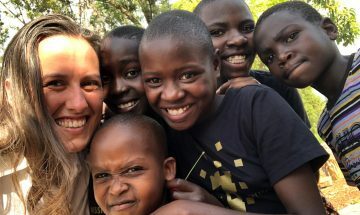 Help connecting the KISI family through joint activities of KISIs from Uganda and KISIs from Europe. You want to support us with your prayer? Thank you very much! We're happy, if you send us an email to let us know. Then we can send you prayer requests from time to time. You are interested in helping with organization, logistics or directly with the kids? We would be very happy to welcome you in our team. Just send us an email with your details. is the Chaplain of KISI Uganda. is working the chairman of KISI Uganda and a mentor for the operational leader. is the wife of Andrew Yooumbe. Besides mentoring the operational leader she is a regional leader for the region around Kampala. is coordinating the KISI CLUB activities in Masaka. If you have any questions, ideas or other requests, you are very welcome to contact us. We're looking forward to hearing from you.